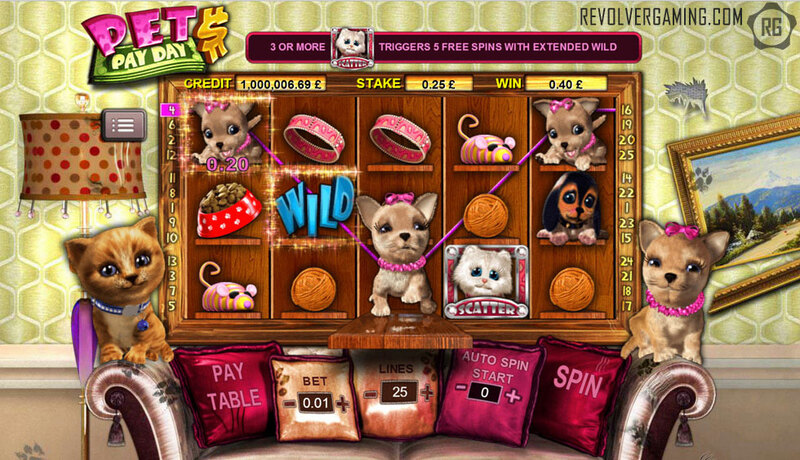 PETS PAY DAY™ | Revolver Gaming - 3D Slots & Social Casino game creators! Join the naughty pets as they tear up the living room in Pets Payday! Fudge and Chichi have claimed their ends of the sofa but watch out for Fluffy, she plays innocent but she’s a bit Wild and likes to climb the curtains. 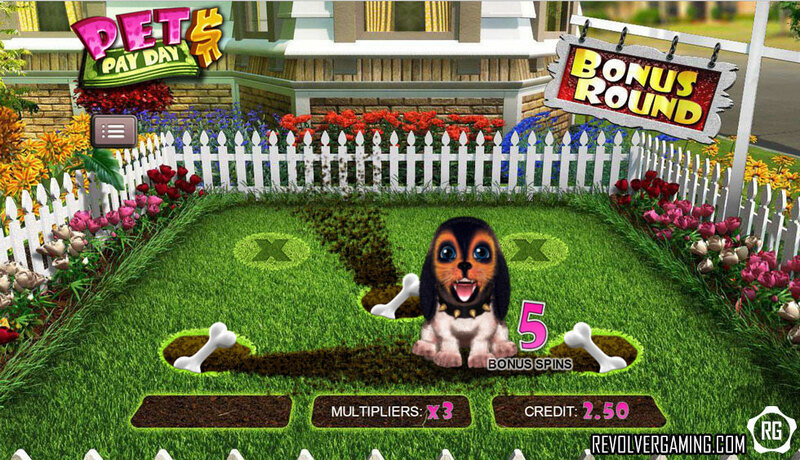 Follow Max for big rewards and keep an eye out for his Bone for buried treasure! 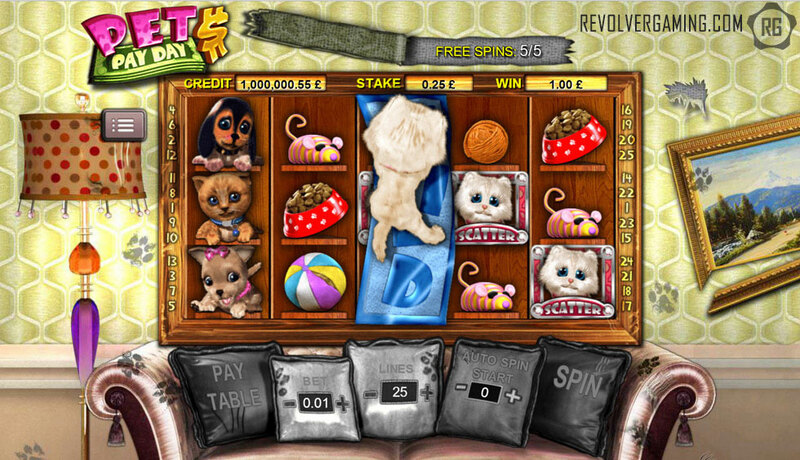 PETS PAY DAY™ is a cute, charming and fun cinema quality 3D slot game inspired by the animals we all love! 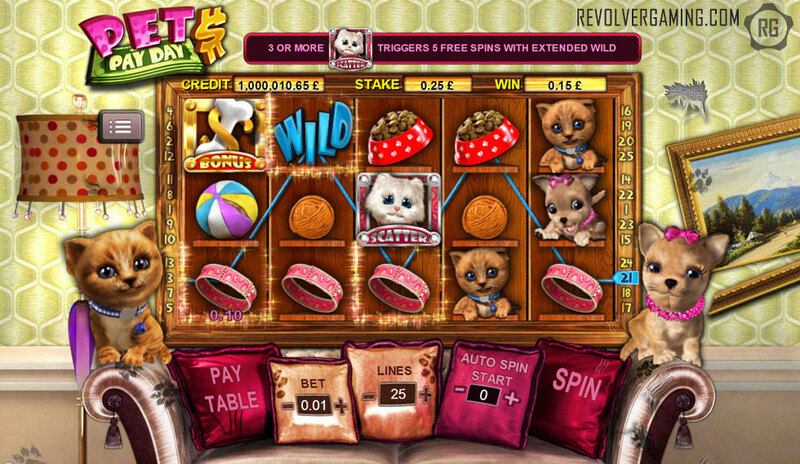 Available in Flash and HTML5 for online and mobile, PETS PAY DAY™ features the most thrilling 3D animated characters with entertaining stacked wild Free Spins and an interactive 2nd screen bonus event to WIN BIG!